A BRITISH MAN was murdered on his farm in South Africa by three men who attacked him with a machete and seriously injured his wife, police said today. The trio targeted Christopher Preece, 54, when he went out of his farmhouse in Ficksburg in the central province of the Free State, near the Lesotho border, to investigate an electricity blackout on Saturday night. They assaulted him with a panga and he sustained bodily injuries. He ran back into the house and fell on the floor and died. His wife, Felicity, 56, was also attacked and admitted to hospital. The couple ran a small accommodation establishment on their farm near Lesotho’s Maluti Mountains. They were robbed of their mobile phone and 3,000 rand in cash (€260). Police said no arrests had been made. British High Commission spokeswoman Isabel Potgieter said her office was aware of the case but could not give more details. “We have been in touch with the authorities but I cannot give more information,” she said. 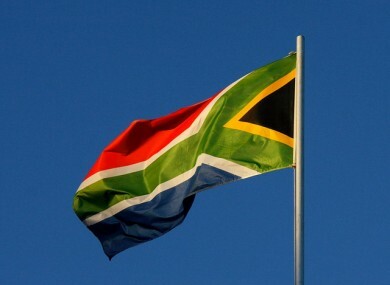 South Africa has one of the world’s highest violent crime rates, with an average of 42 people killed per day. Agricultural unions and opposition parties have raised the alarm over the scourge of attacks on rural farms that often stretch over huge areas. According to the Transvaal Agricultural Union of South Africa, there were 634 farm attacks and 306 farm murders between 2008 and September this year. Email “South Africa: British man killed by attackers with machetes ”. Feedback on “South Africa: British man killed by attackers with machetes ”.